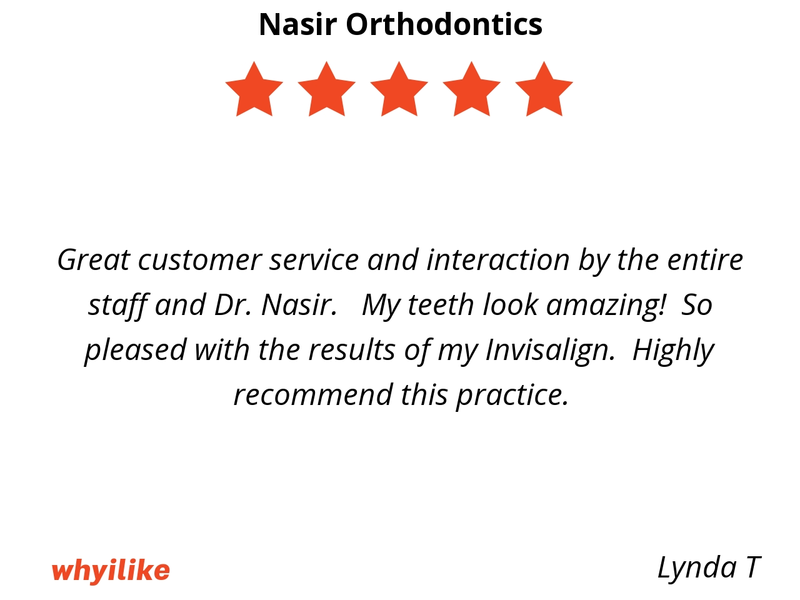 Great customer service and interaction by the entire staff and Dr. Nasir. My teeth look amazing! So pleased with the results of my Invisalign. Highly recommend this practice. 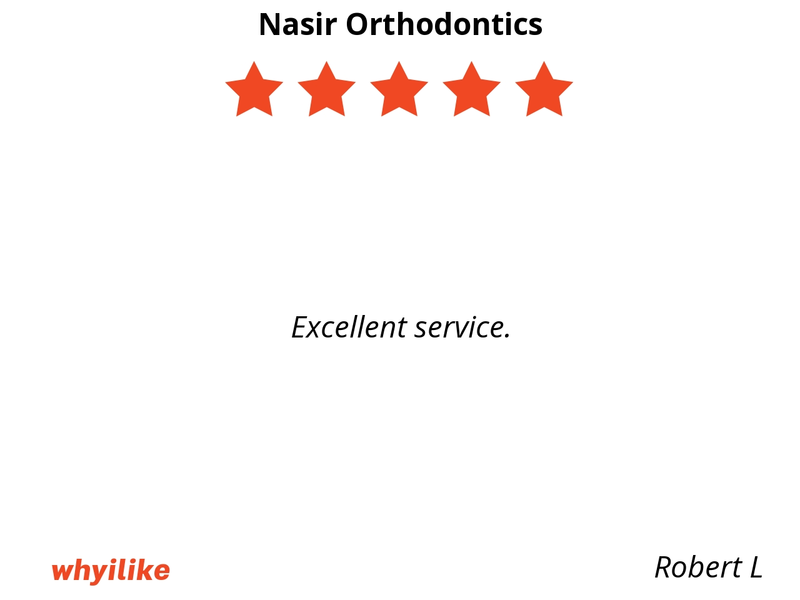 Their understanding and provide the best customer service ever! 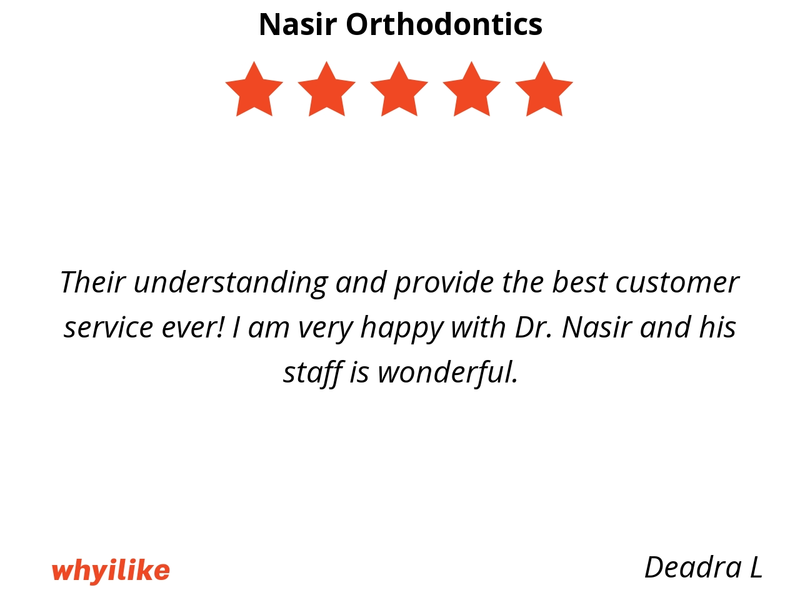 I am very happy with Dr. Nasir and his staff is wonderful. 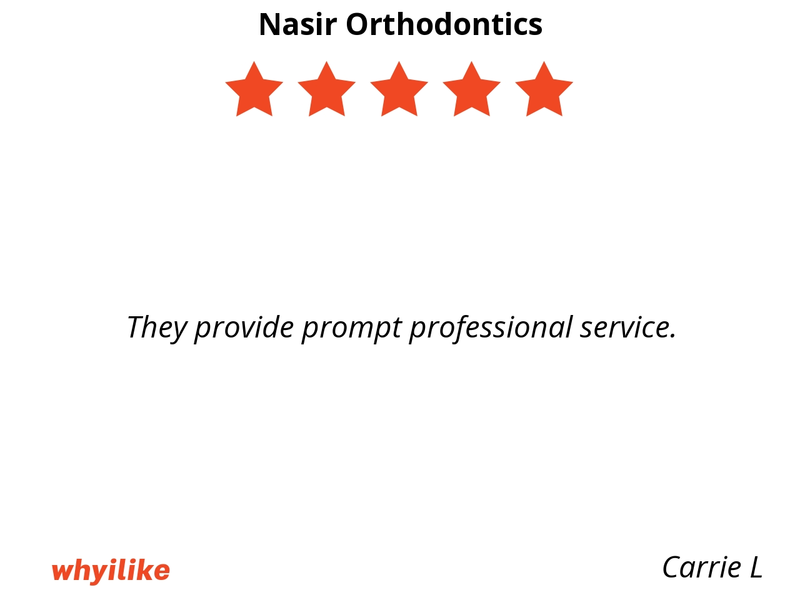 They provide prompt professional service. Awesome staff! Everyone is kind and professional! My appointments are always on time. 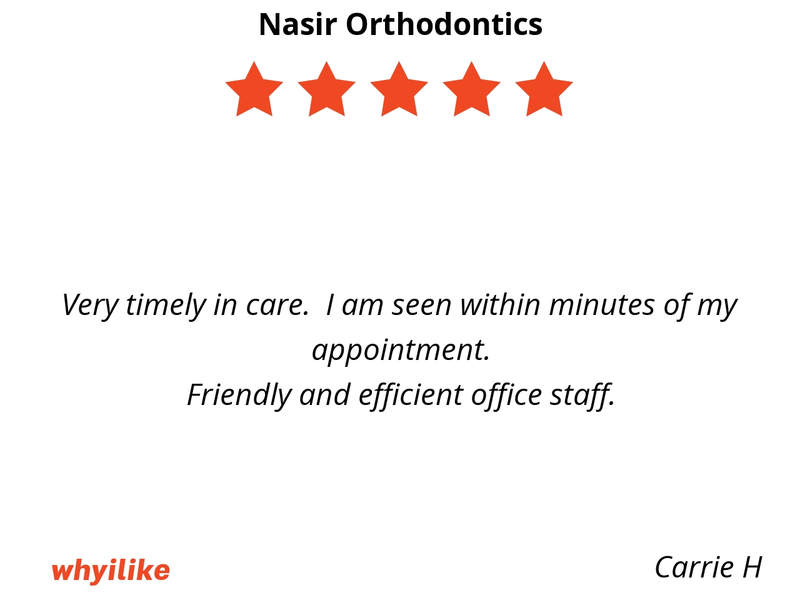 The staff is very pleasant and professional. 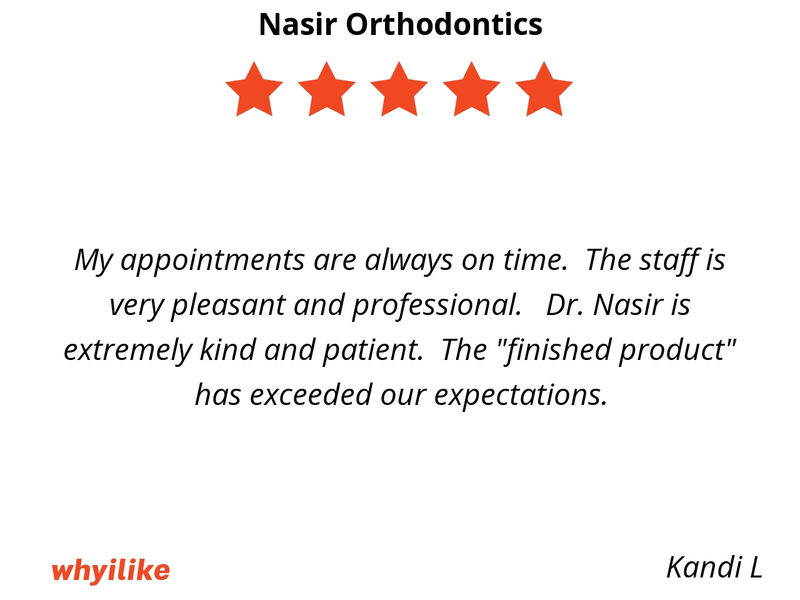 Dr. Nasir is extremely kind and patient. The "finished product" has exceeded our expectations. 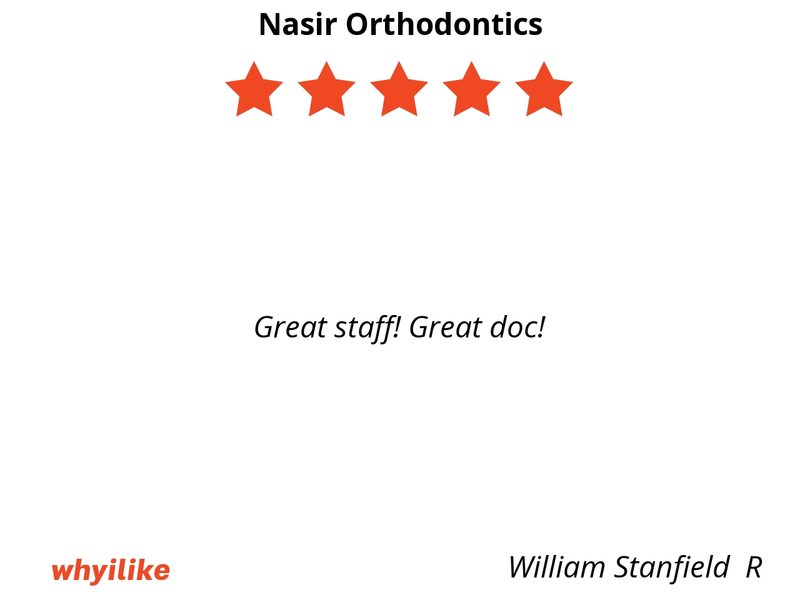 Dr. Nasir and his staff are kind and professional, explaining thoroughly what might be done and why. 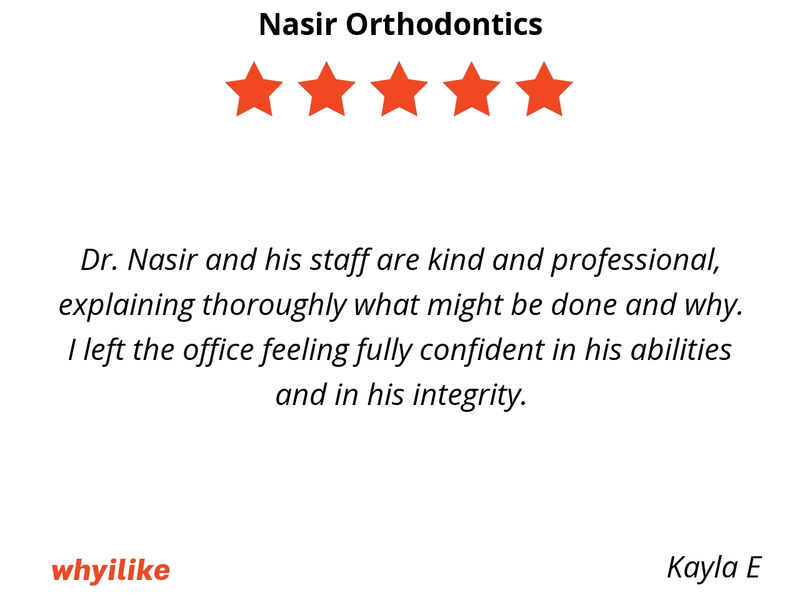 I left the office feeling fully confident in his abilities and in his integrity. Everyone on your staff is so attentive and kind. 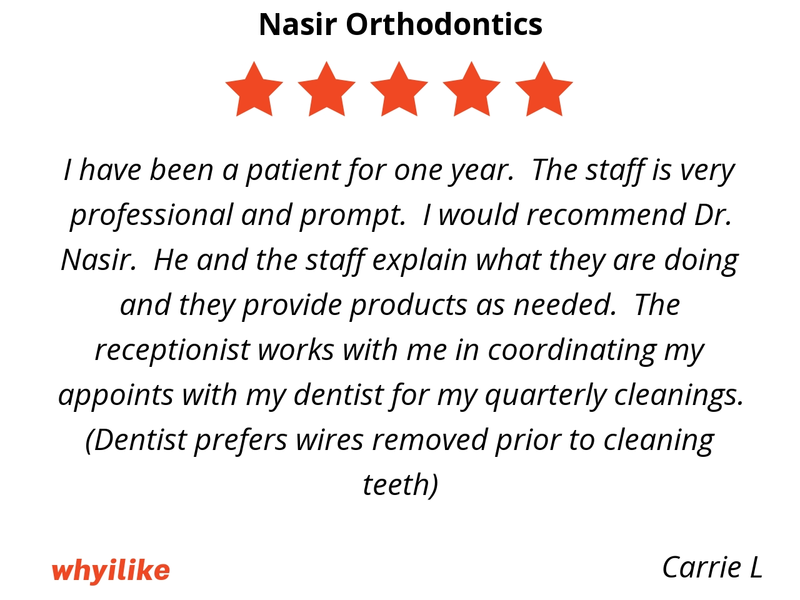 I always look forward to my appointments because everything will go smoothly. I love being able to choose different colors of bands! 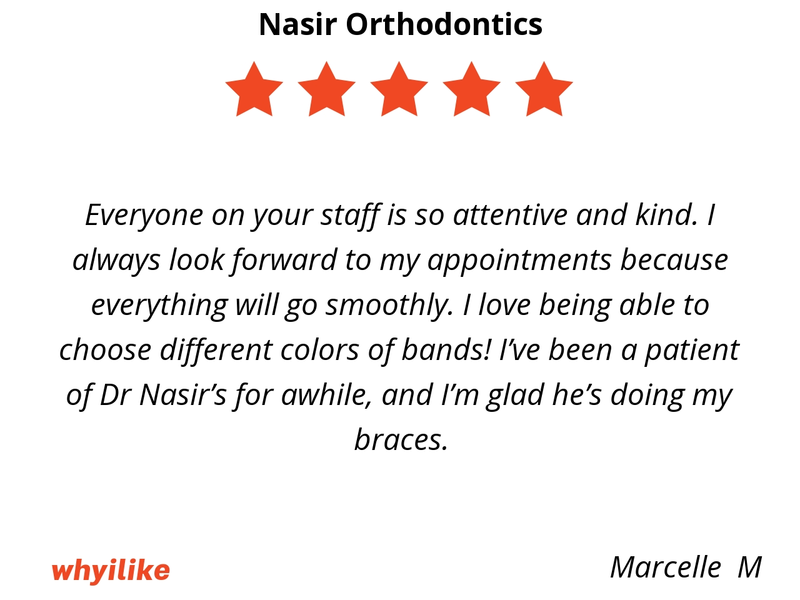 I’ve been a patient of Dr Nasir’s for awhile, and I’m glad he’s doing my braces. 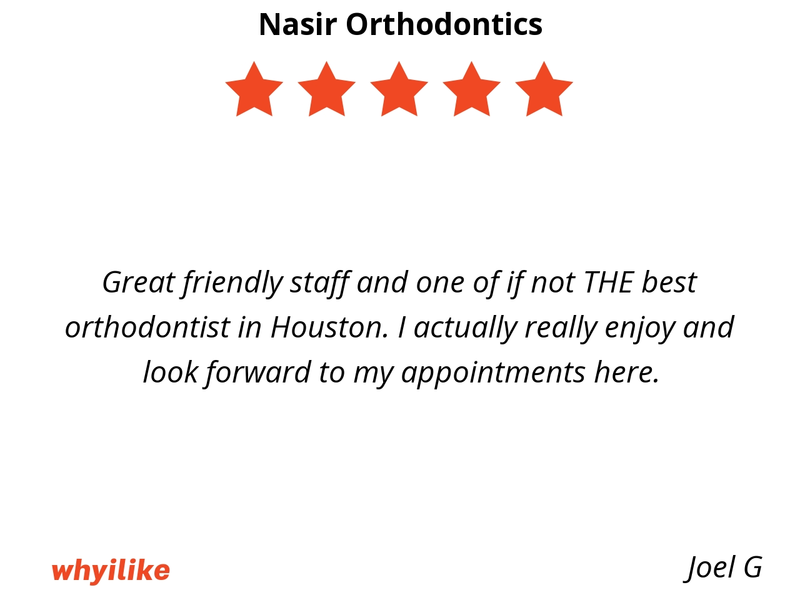 Great friendly staff and one of if not THE best orthodontist in Houston. I actually really enjoy and look forward to my appointments here. 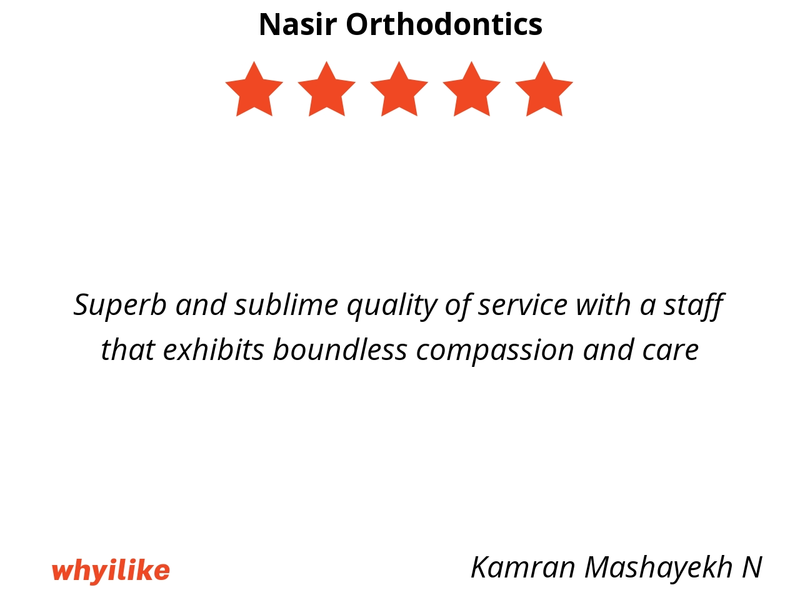 Every aspect of Dr. Nasir’s practice is exceptional. Appointment setting, receptionist, payment plans, and of course results. I have enjoyed every minute of this experience and more importantly so has my daughter. 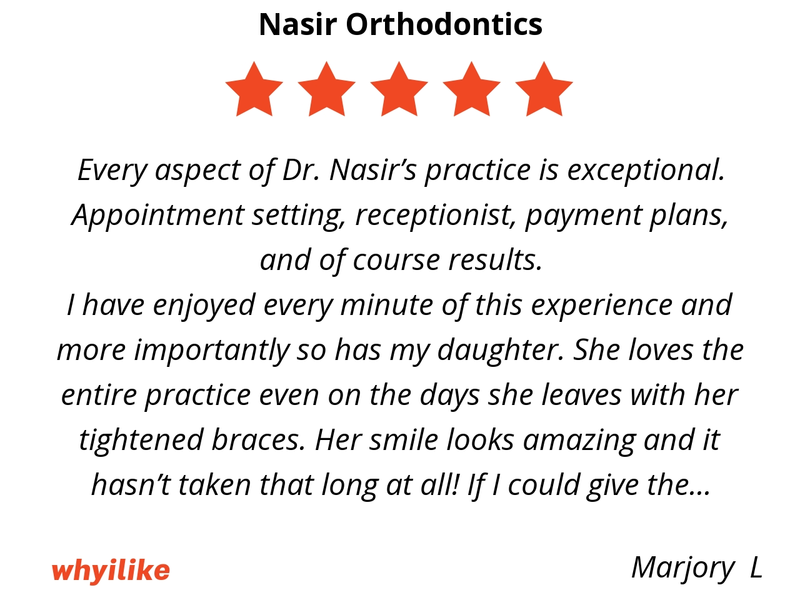 She loves the entire practice even on the days she leaves with her tightened braces. Her smile looks amazing and it hasn’t taken that long at all! If I could give the practice 10 stars I would! 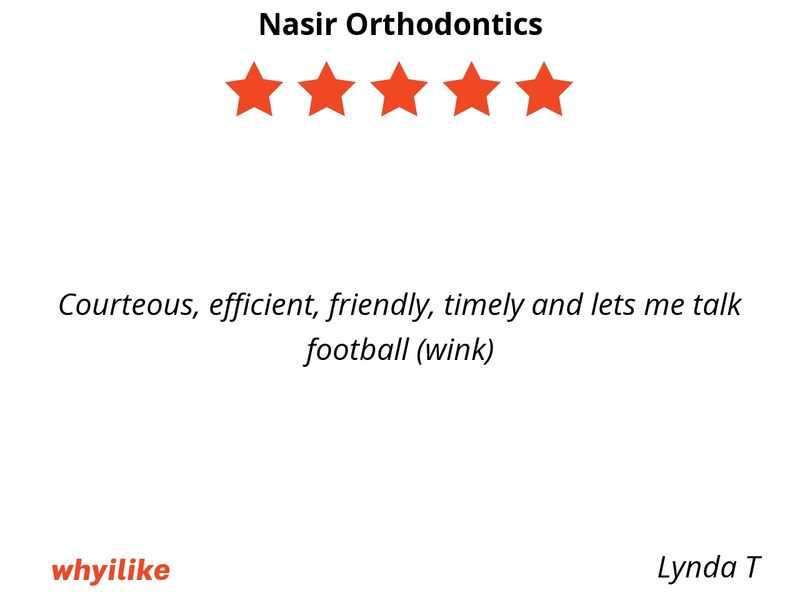 Nasir Orthodontics is amazing. 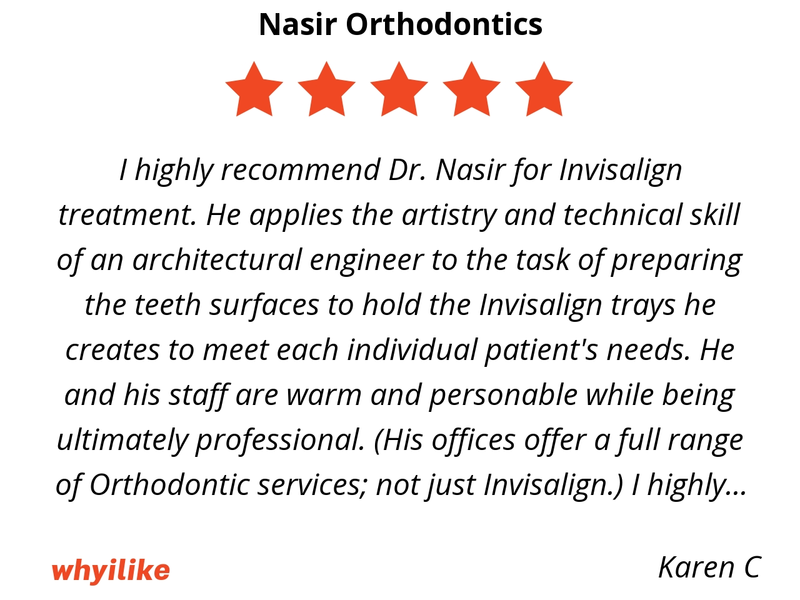 I cannot say enough wonderful things about Dr. Nasir and his expertise!!! 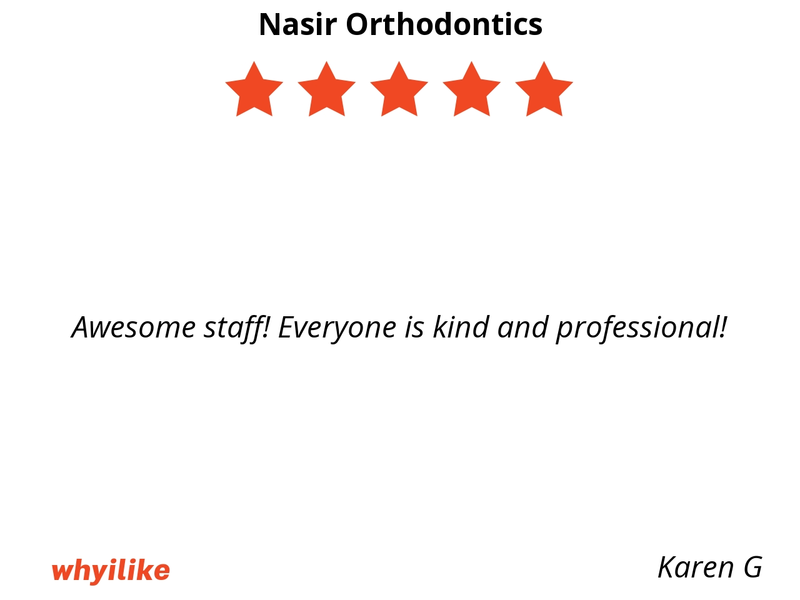 The entire staff is knowledgeable and professional and makes us feel like family every time we arrive. 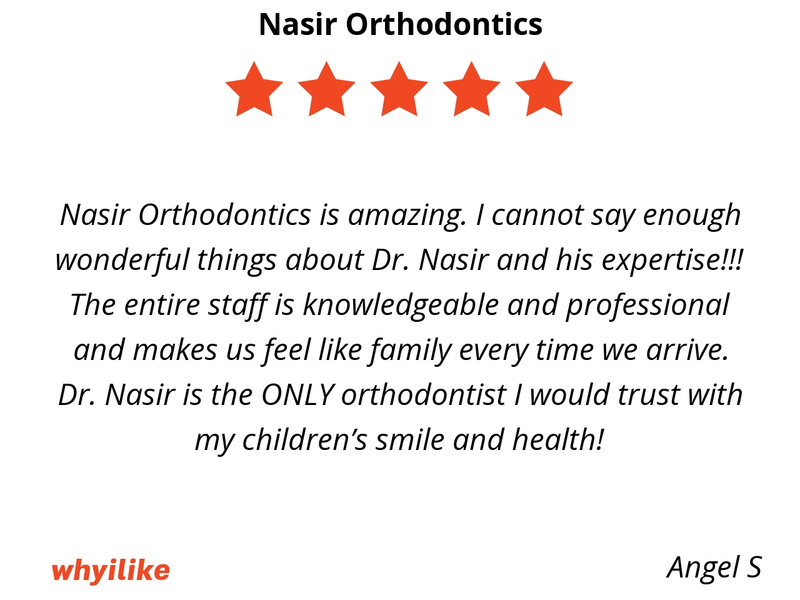 Dr. Nasir is the ONLY orthodontist I would trust with my children’s smile and health! Everyone is extremely friendly. 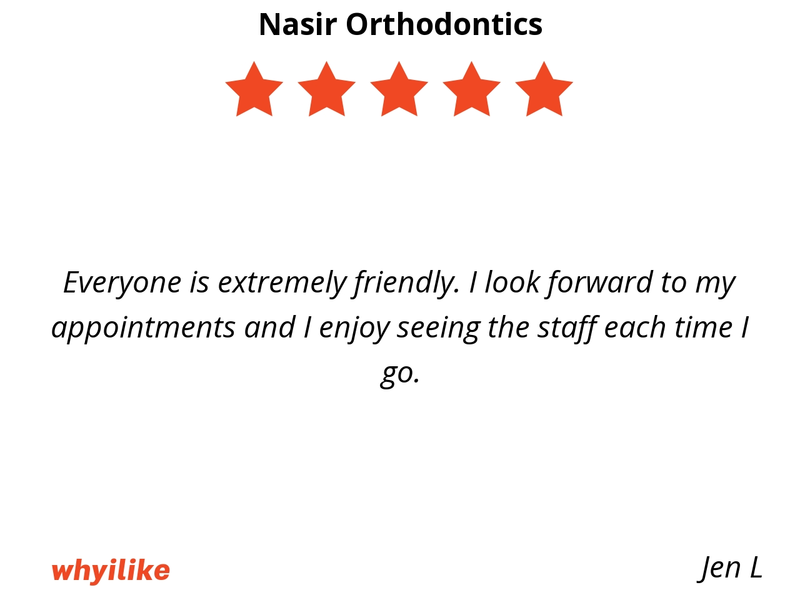 I look forward to my appointments and I enjoy seeing the staff each time I go. 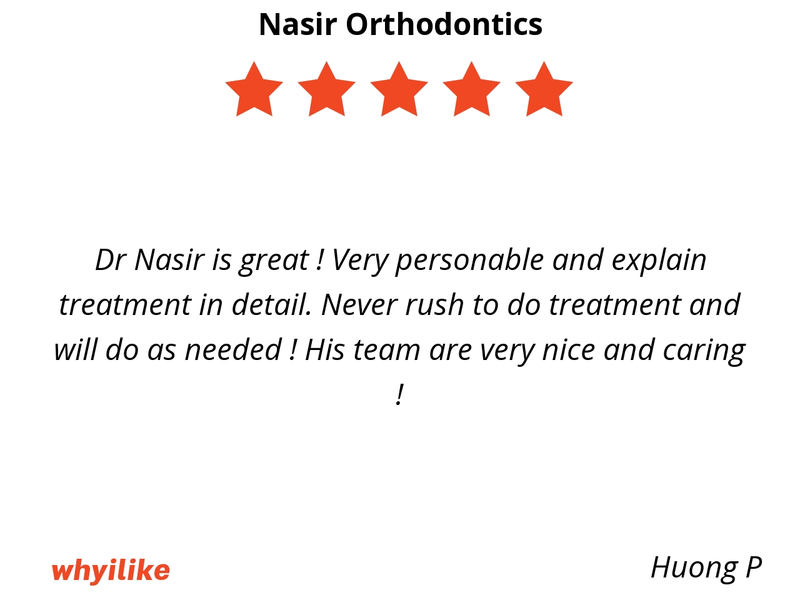 Dr Nasir is great ! 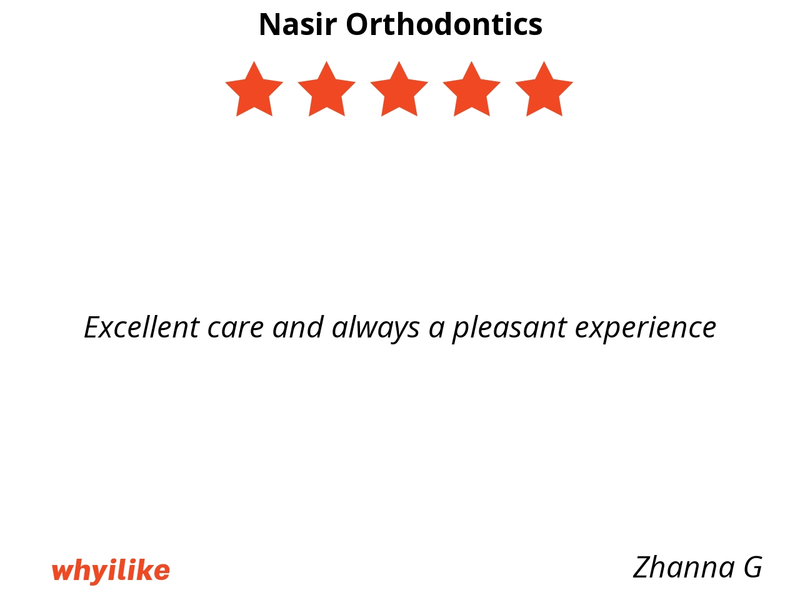 Very personable and explain treatment in detail. Never rush to do treatment and will do as needed ! His team are very nice and caring ! Very timely in care. I am seen within minutes of my appointment. Friendly and efficient office staff.